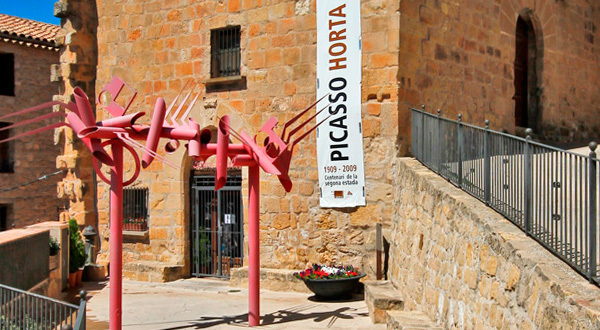 Mas del Cigarrer is located near the entrance to Els Ports Natural Park, in the municipality of Horta de Sant Joan, a village of architectural and landscape interest, with the trace left by Pablo Picasso. Visit the Centre Picasso d'Orta to learn about the stay of the painter in the village and how the landscape and the light influenced him. Well worth visiting is the San Salvador convent, at the foot of the peculiar Santa Bárbara mountain. Guided visits to the convent are organized upon request. 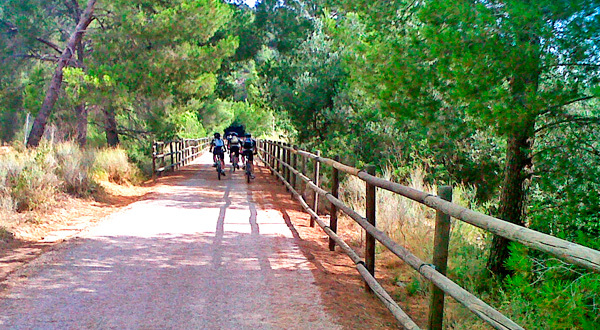 The old railway route through the Terra Alta region has become the Greenway, an ideal path for walking and biking. Ask about our stay + bicycle package! The various trekking levels along Els Ports Natural Park allow enjoying the mountain all through the year, in search of rivers, waterfalls and pools. Canyoning, climbing, and trekking, among other sports, can be practised. Discover the villages of the Terra Alta and the Matarranya regions, with their impressive medieval architecture. These quiet villages are of special cultural interest: unique buildings of the Catalan Art Nouveau style, museums, exhibitions and, in summer, open air concerts. You can also learn about vineyards and wine production.